As a lean manufacturer and supplier of SAFE equipment to the civilian and military sectors, we are exclusively dedicated to manufacturing custom equipment that assures safe access and fall protection for workers around the world. As a result, we are the global leader in custom access platforms, fall protection platforms, maintenance stands, hangar equipment, ground support equipment and portable field equipment for aircraft, marine, railway, and heavy equipment applications spanning across all industries. S.A.F.E focuses greatly on quality control during the construction process, and every product requires a quality control inspection before shipping. Through our lean manufacturing processes, we are able to provide the industry with cost effective prices without sacrificing quality. 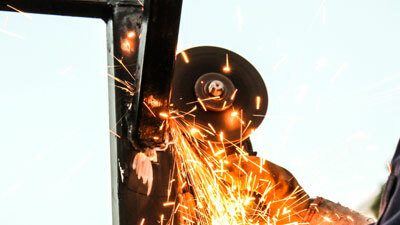 We have custom solutions for safe access platforms, fall protection platforms, maintenance support equipment, and more. Our lean manufacturing process means that we can help create a unique solution for you without breaking the bank. Feel free to contact us today to learn more about lean manufacturing and our collaborative design process. We look forward to hearing from you!